Gaursons Group is coming up with new commercial project Gaur Runway Suites at Gaur Yamuna City Yamuna Expressway, Greater Noida. 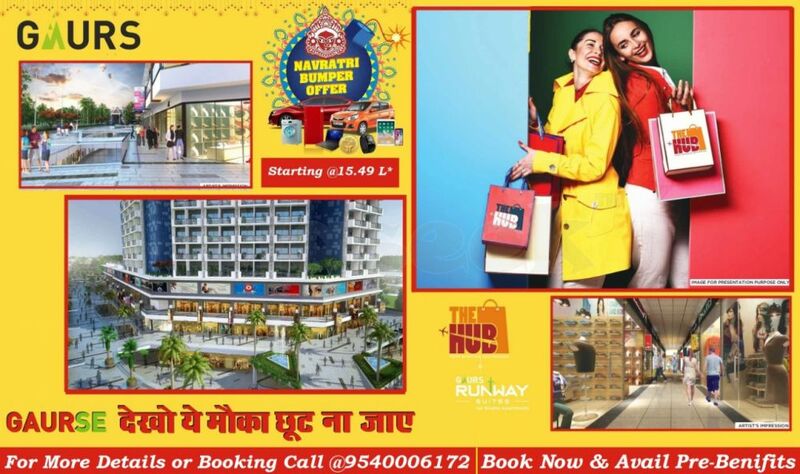 Gaur Runway Suites is a dream project not for the builder but also for Delhi/NCR. The project offering Gaur Studio Apartments, Service Apartments, commercial space, all types of stores, restaurant and much more. A world-class renowned builder is coming with the most stylish office and retail spaces to provide all your business needs in a modern way. With close to upcoming Jewar Airport and located at Yamuna Expressway, the connectivity is simply unbeatable. Noida-Greater Noida Expressway is next to this project, but Yamuna Expressway connecting to Jewar Airport is hardly 10 minutes drive away.